Maps Marker Pro allows you to easily perform bulk updates on markers by using the integrated import/export feature. Below you will find the documentation for these features. If anything is unclear, please open a support ticket at https://mapsmarker.com/helpdesk and we will be glad to help! 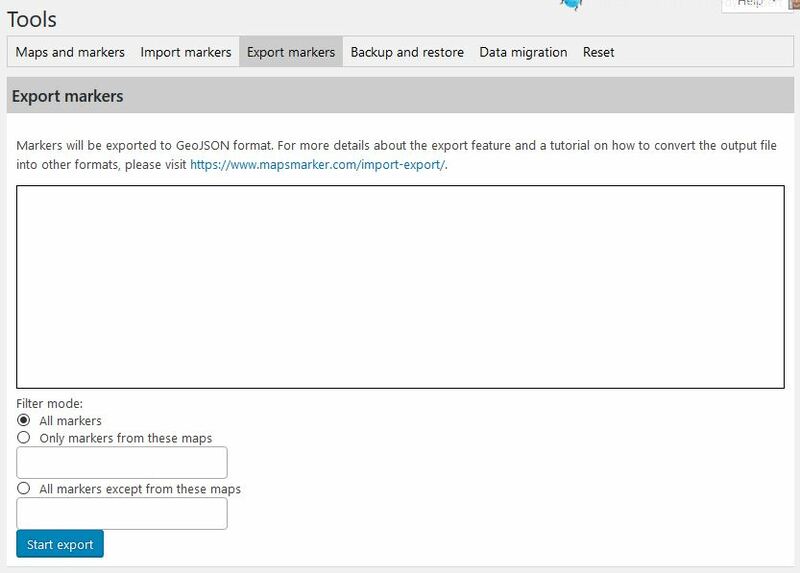 By default, the import and export feature only supports GeoJSON for export and import. 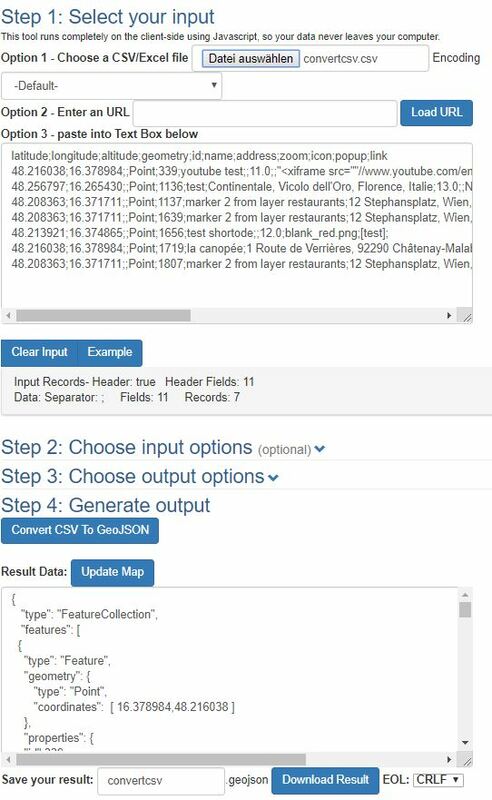 You can convert your GeoJSON file to CSV or XLSX though and vice versa for better handling. You can either save your output file as CSV or XLSX file by using the related buttons. 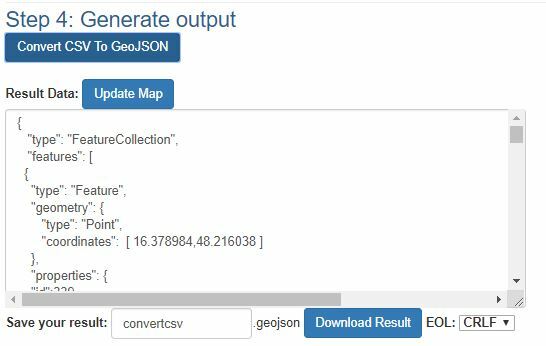 Save your result as .geojson file in order to be able to use it later for the importer. 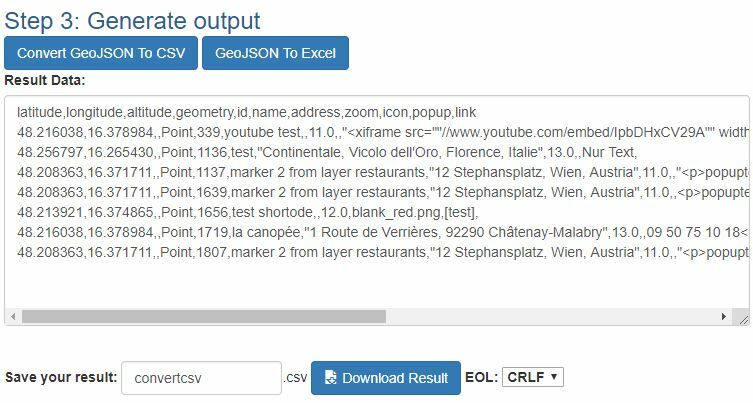 Existing markers can be exported to GeoJSON format, which then can be converted to CSV or XLSX (see tutorials above). 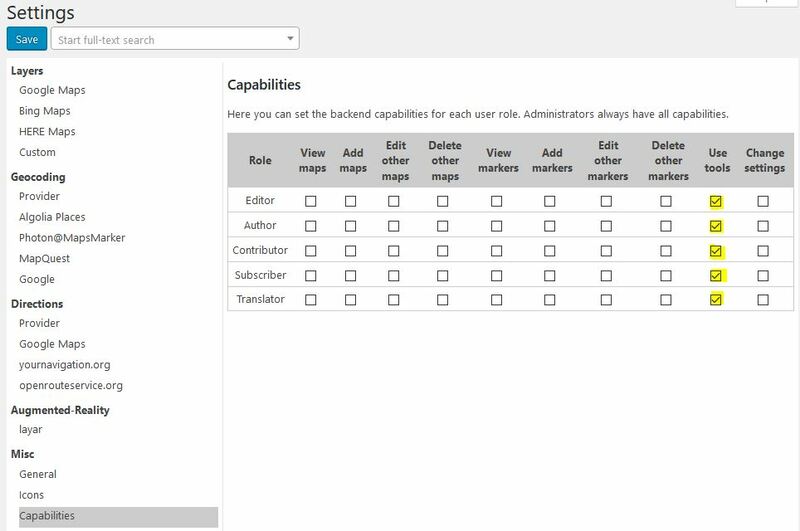 You can either choose to export all markers (default) or use the “Filter mode” to export markers from selected maps only or exclude markers from selected maps. Finish the export by clicking the “Start export” button. 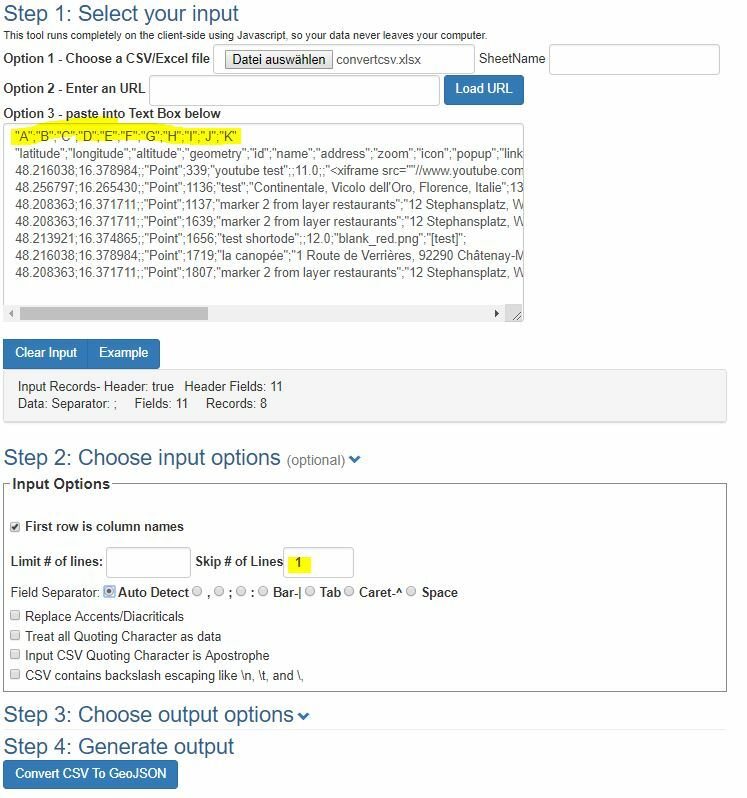 You can use the import feature to bulk add or update markers. Choose your import file and start the import by clicking the button “start import”. The available options will be explained below. Every entry in your GeoJSON file will be used to create a new marker. 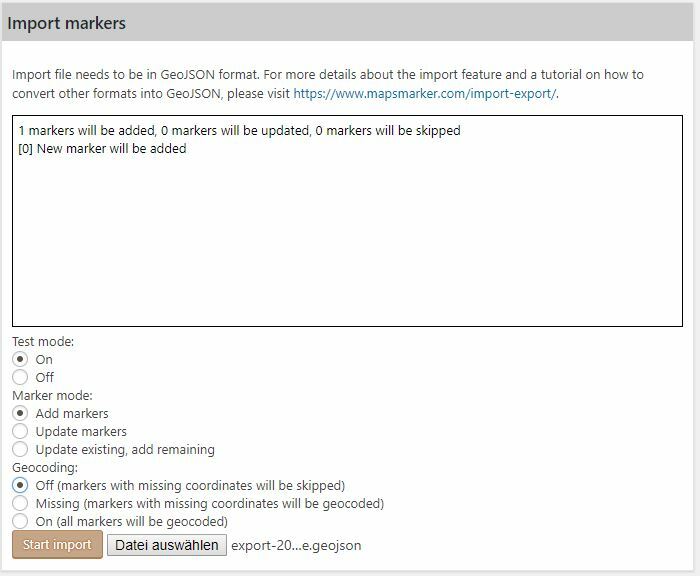 If the ID of an entry in your GeoJSON file exists, the existing marker will be updated, if the ID does not exist, the marker will be skipped. 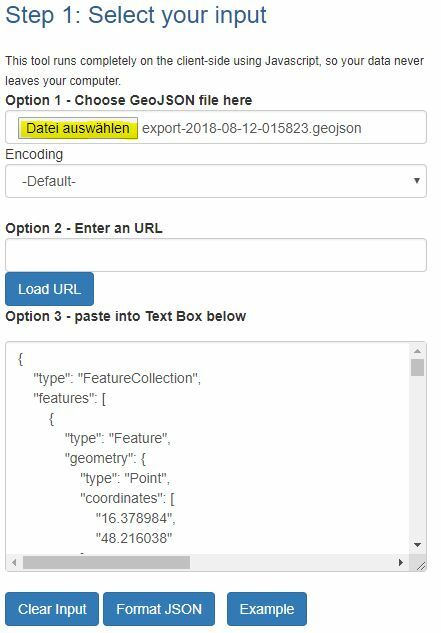 If the ID of an entry in your GeoJSON file exists, the existing marker will be updated, if the ID does not exist, a new marker will be created. 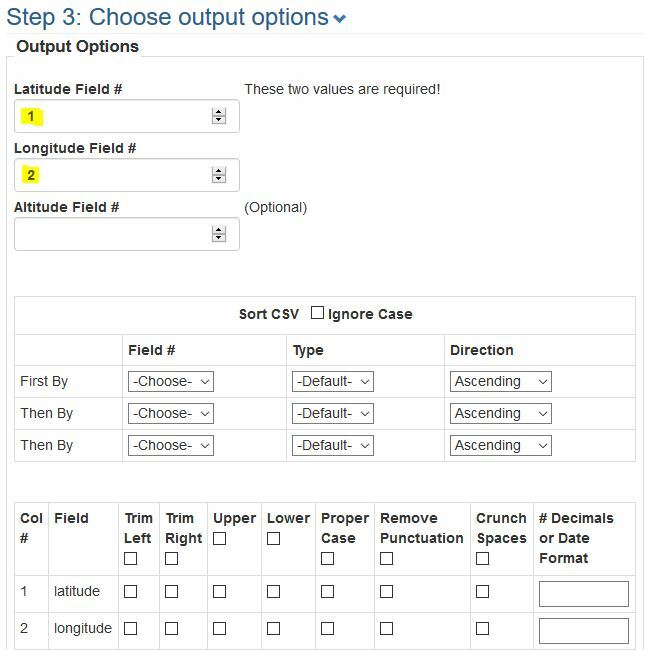 The address given in the GeoJSON file will be used for geocoding, regardless of latitude or longitude values available (existing latitute and longitude values will be overwritten by the geocoding results). If no errors or warnings are found, set “Test mode” to “Off” and start the import again. We integrated several checks which should prevent the import to fail. Anyway if something goes wrong, you will be shown exactly what went wrong, e.g. 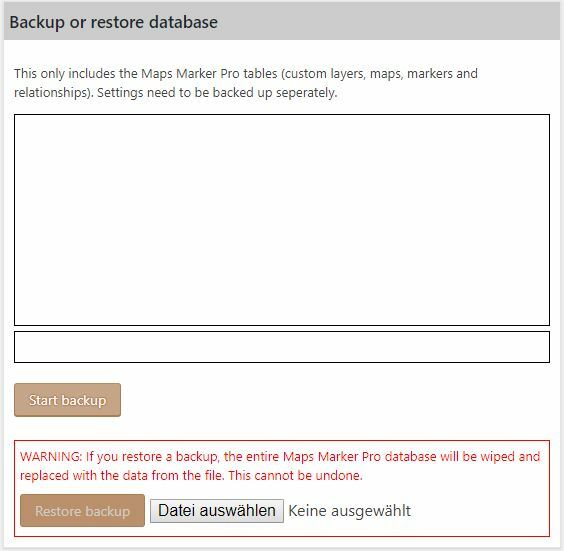 If you cannot resolve the issue by yourself, please open a support ticket at https://mapsmarker.com/helpdesk and we will be glad to help! Can I use an export file from v3.1.1 or lower and import it in v4 or higher? 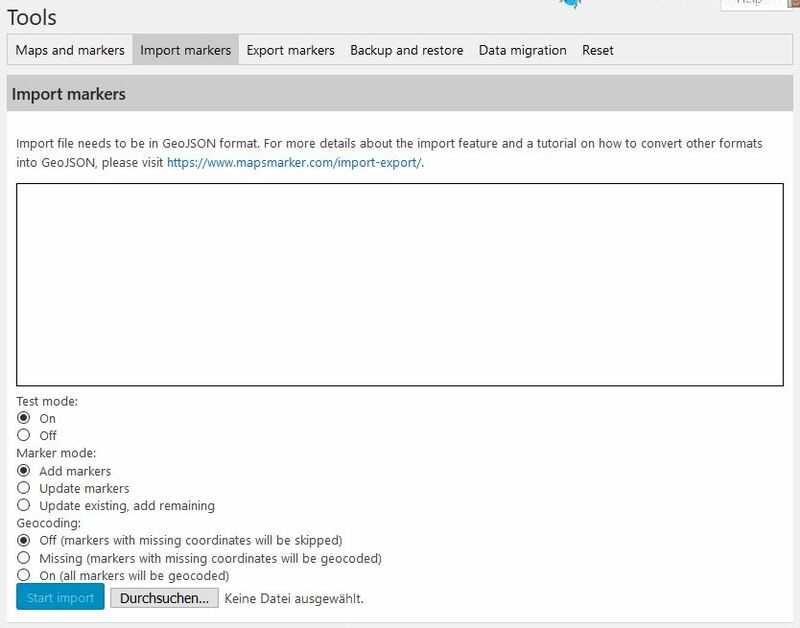 No, as v4.0 is a complete new plugin with an optimized database schema, (CSV/XLS(X)/ODS) import files created with Maps Marker Pro v3.1.1 or lower are not compatible with the import in Maps Marker Pro v4 or higher. How do I convert other formats like KML to GeoJSON?